We’ve got a Dr. Evil-mimicking, bench-pressing Army Captain at our third podium tonight. Will he “destroy” this game, as he promised? He’s got a good shot, but given these scores, he’ll likely need a correct response to do so. Sorry for the delay in getting up this recap; my computer has a virus, so I’ve been addressing that. The video will be up soon. To cover an all-in wager by Jennifer, Ryan will need to wager 7,000. An incorrect response with that wager will leave Ryan with 7,600. 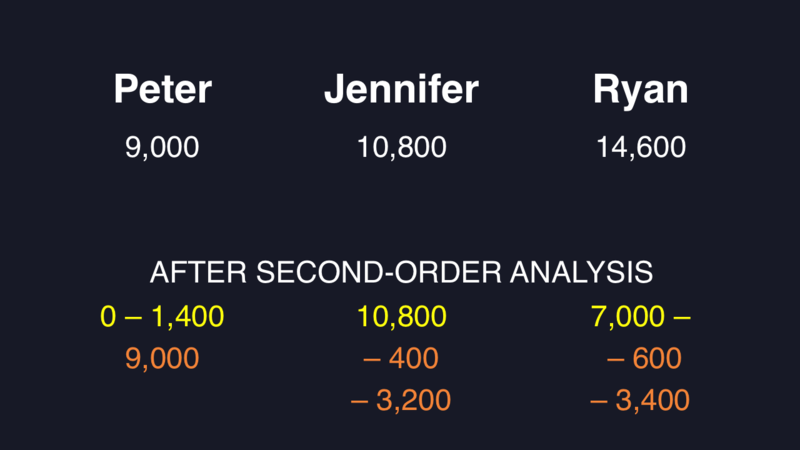 To stay above that total, Jennifer can wager up to 3,200, and Peter can wager up to 1,400. A successful doubling will put Peter at 18,000. 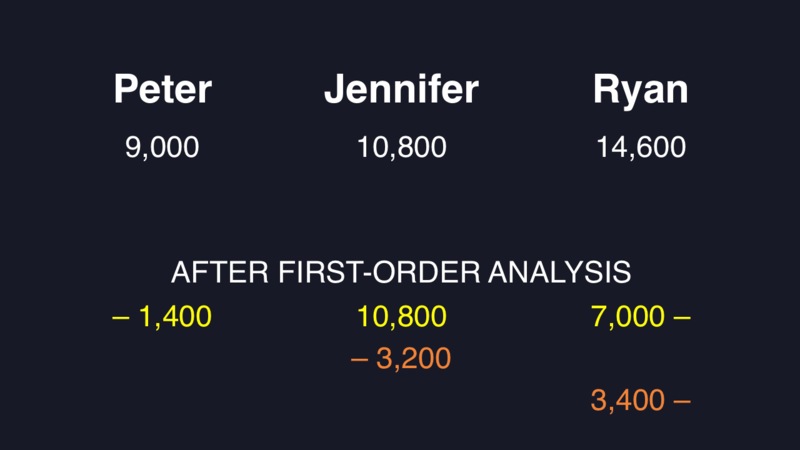 To cover this, Jennifer should wager at least 7,200, and Ryan would need to wager at least 3,400. Now let’s take those maximum wagers from Peter and Jennifer. How should each other player respond? 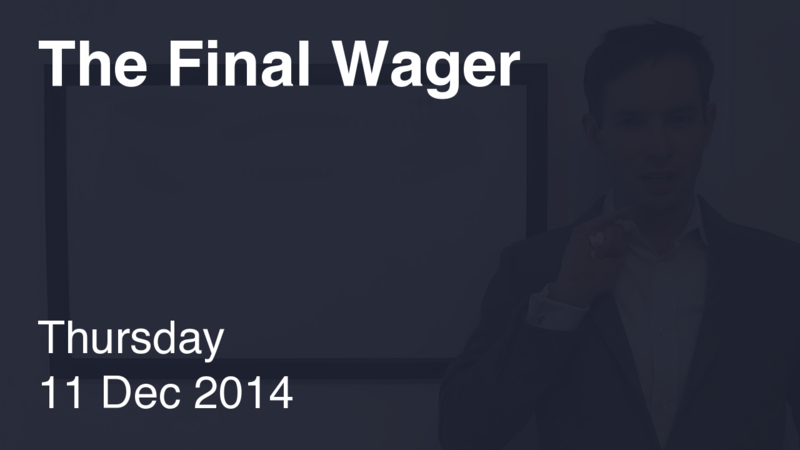 Can anyone restrict a wagering range by forcing another player to respond correctly? WHAAAAAT was up with that wager, Jennifer? Jennifer has clearly been reading MY wagering blog.